I want to thank Ryan from Temple Christian College SA for sending me these interview questions. What factors contribute to consistent performance in a sprinter and how can this be applied for a continual improvement? 2. Between each of the factors mentioned above (4); Which order do you rate the most important to least important towards a consistent performance in sprinting? 3. Can you explain why you have rated these factors in this order? Why one is more important than another? 4. What by-products or methods do you feel provides the best use in developing the efficiency of these factors? E.g. resistance training, focus preparation, food type. 5. Would the importance of each factor mentioned change, when looking from prepping consistent performance to developing performance? Why? 6. What would change in relation to the factors mentioned, when looking for improvement rather than just consistency? E.g. training routine, eating habits. 7. Can you describe the habits or routines you have and/or what you would recommend a fellow sprinter in relation to these factors if you were coaching them? 8. Are there any key points to keep mindful of, when setting these factors into act? 9. 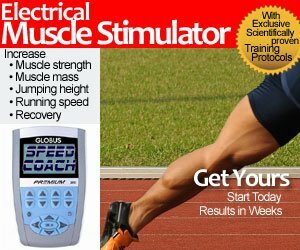 Can you suggest a way where I can apply all the factors for the goal of a consistent performance as well as the improvement of sprinting? Hope you enjoy the video. It’s definitely not a 2 minute video!